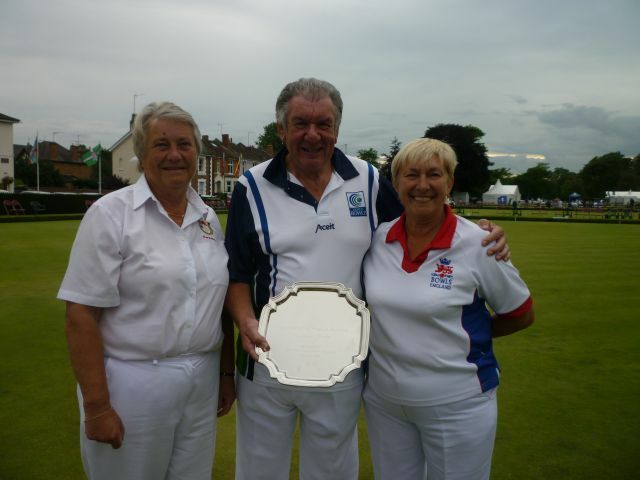 Kay Kerley organised a very well run competition and 32 pairs took part. Most of the matches were a very close run contest and quite a few rinks had to play an extra end. After 75 plus ends a winner emerged. It was two well recognized faces. 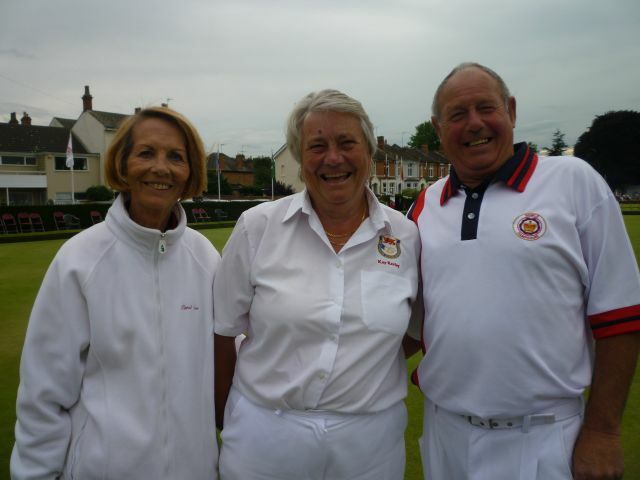 Our Bowls England President Marcia Dunstone and a sub, called in at the last minute, John Bell. Our grateful thanks to Kay for a most enjoyable day.